Remote codes for ViewSonic TVs. 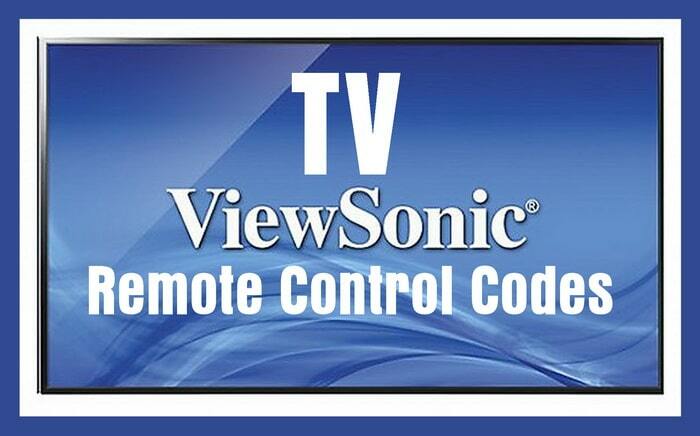 Below is a list of ViewSonic remote control codes to be used with ALL ViewSonic televisions. These codes can be used with all universal remotes if your remote needs a 3, 4, or a 5 digit code. These codes can be used with a Universal remote or your existing CABLE or SAT remote if programmed correctly. If the first remote code does not work keep trying the numbers down the list. Need your ViewSonic TV Manual? See below for model numbers for ViewSonic televisions. ViewSonic TV Model Numbers beginning with “C” – CD4200, CD4225, CD4620, CD5233, CDE3200, CDE4200, CDE6500. ViewSonic TV Model Numbers beginning with “N” – N1800TV, N1630W, N1700w, N1750w, N1800TV, N1930W, N2000, N2010, N2011, N2060W, N2635w, N2652w, N2690wN, N3000w, N3200w, N3235w, N3250w, N3251w, N3260W, N3260w, N3760w, N4060w, N3266w, N3290w, N3700w, N3735w, N3751W, N3752w, N3760w, N3766w, N4060W, N4066w, N4200W, N4251W, N4266w, N4280p, N4285p, N4290p, and many more. The above ViewSonic TV model number service and user manuals can be found here. 1. Turn on the ViewSonic TV. 2. Press and hold the ViewSonic TV and SEL buttons simultaneously for 3 seconds. The button will light. 3. With the button lit, point the remote at the ViewSonic TV and enter the TV’s 3, 4, or 5 digit code. 4. Verify by pressing the VOLUME + button. This should turn the ViewSonic TV VOLUME up. 5. Press the ViewSonic TV button to store the 3, 4, or 5 digit code. The button will blink twice to confirm the code is stored. Your ViewSonic TV can be controlled with a universal remote and work with RCA remotes, Comcast, DirecTV, Charter, and more. If you have tried all the codes and they do not work for your ViewSonic TV, please let us know which remote control model number you are using and tell us your issue below. We will get back to you with an answer.